This program gives individuals an opportunity to receive information about the electrical industry and the opportunities that are available to them. Participants will review the introductory curriculum used in the electrical apprenticeship program and will also be exposed to information needed to help them succeed in the selection process. On-the-job training will also be a part of the program. 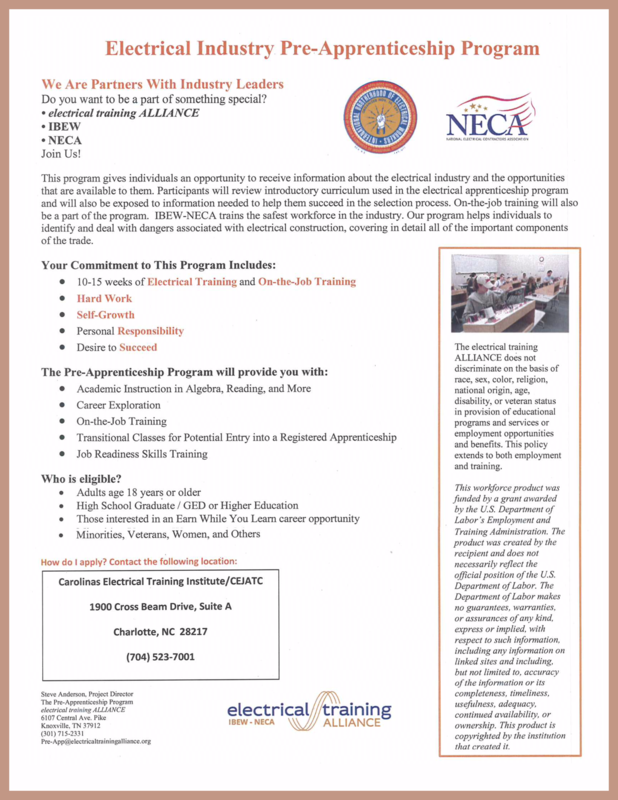 IBEW-NECA trains the safest workforce in the industry. Our program helps individuals to identify and deal with dangers associated with electrical construction, covering in detail all of the important components of the trade. If interested, complete the Pre-Apprenticeship Application and submit to our office for considering in our next class.